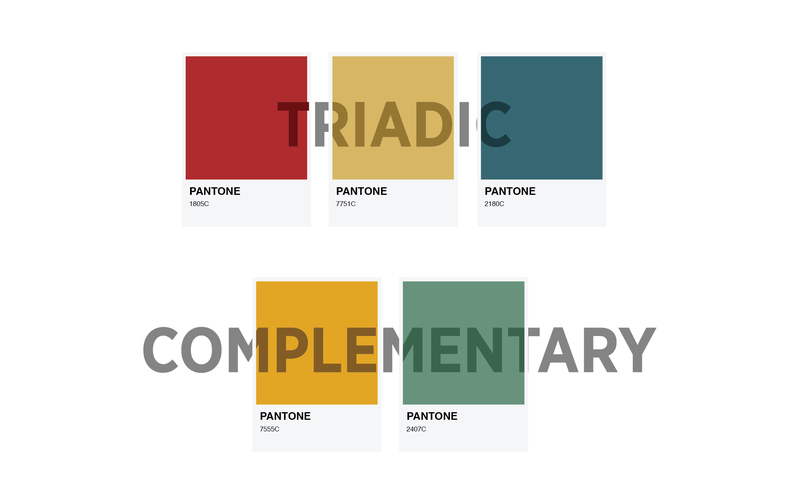 Choosing a colour palette for your e-learning course isn’t just about creating an aesthetically pleasing design. Understanding and applying the psychology of colour can help you create more effective, engaging and intuitive learning experiences. There’s a reason we used to highlight our notes to remember the important parts, or use colourful sticky notes to categorise information. Research has shown that colour has a strong stimulating effect on the brain. A lot of this has to do with the way we absorb information. For something to enter our working memory, it needs to attract our attention. The brain takes notice of colour more quickly than it does black and white, and thus is more likely to remember it. Colour is therefore a powerful aid when it comes to memory and e-learning. There are several colour considerations to keep in mind when designing your e-learning course. When designing an e-learning template, you will most likely face certain colour limitations because of company brand guidelines. However, when you do have the freedom to choose the palette or even some of the accent colours, it helps to know a bit more about the psychology of colour. The field of colour psychology has long been embraced in industries related to marketing and branding. The power that colour has to elicit emotion and change how we perceive things is also valuable to the e-learning industry. Different colours evoke different feelings. Warm colours are seen to have a stimulating effect. 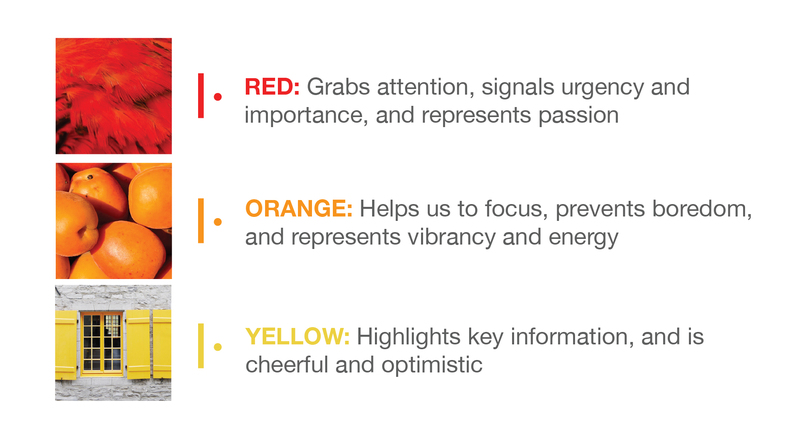 Orange is a great colour to activate thinking and memory and prevent boredom, yellow is good for highlighting key points, while red is effective in drawing attention to something important. On the other end of the spectrum, cool colours have a more soothing effect, and can be great for calming learners in assessments. 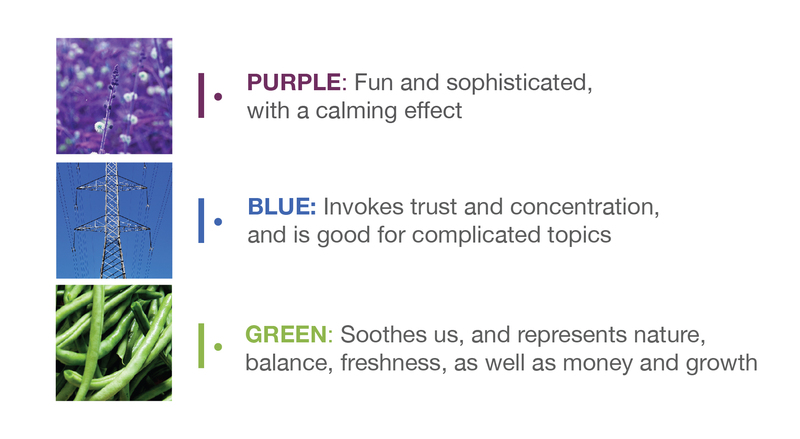 Blue is a good colour for complicated topics, while green is a soothing colour that brings balance and freshness. Purple, on the other hand, is a happy medium between being fun and upbeat, while maintaining calming effects with its blue undertones. It’s also worth noting that perceptions of colour can vary considerably between cultures and with personal preferences. Rather than relying solely on the emotional effects of colour, consider other key colour choice considerations, such as combinations and contrasts. Don’t go overboard with colour. You’ll lose the effect of colour if your palette gets too chaotic and the learner doesn’t know where to focus. Aim for no more than three main colours. If you’re unsure how to combine colours correctly, have a look at the colour wheel. This will show you which colour schemes will work, whether you want to do complementary colours, choose a triadic combination, analogous or a monochromatic colour scheme. Be sure to think about how you can use colour combinations to reflect the content in your e-learning course. For example, when trying to show the link between groups of information, shades of the same colour is an effective way to present that, while complementary or analogous colour schemes are good ways of showing differences. Even more important than the colours you choose is the contrast between the text and background. This is critical to the legibility of your content. By ensuring that learners can read the text unhindered, you remove extra burdens to the cognitive process. You can also use contrast to your advantage to draw attention to certain text by helping it stand it out. Consistent use of colour will also help learners navigate the e-learning course, guiding them in terms of interactive elements and where they need to click. Colour in this context acts as a powerful visual cue for your learner. At the end of the day, there isn’t a magical formula for creating a great e-learning programme, but using colour in a clever way can enhance the learning experience and help your learners better understand and remember content. Are you looking for help in applying the psychology of colour, or other learning design best practices to your e-learning programme? Get in touch with us to talk about how we can help you. Nicole’s curiosity for learning and fascination with all things tech brought her to Hubble Studios. 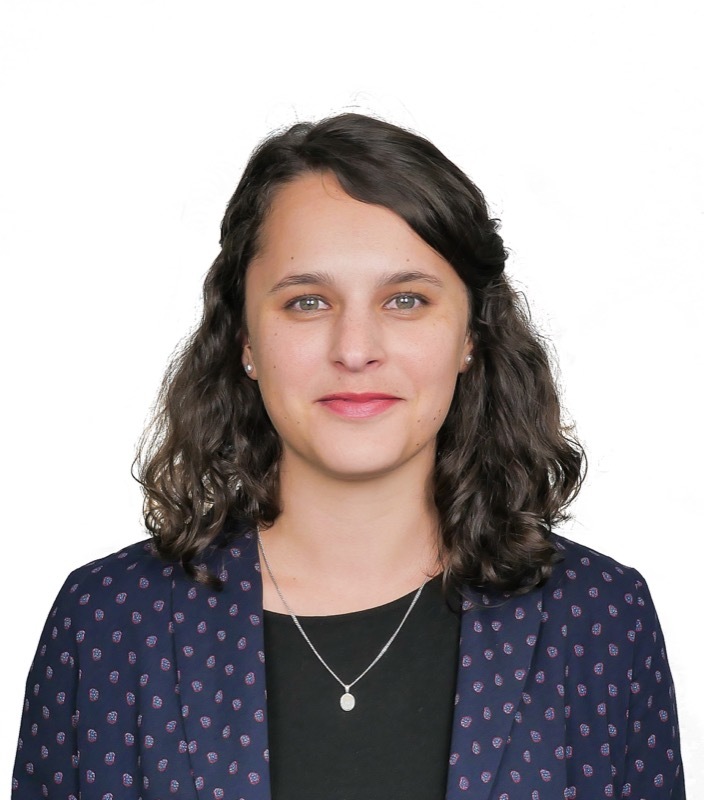 As a learning designer, she designs and creates e-learning content and brings it to life using innovative technology.